Play "Spot the Smart Password"
You type them in constantly - on your phone, your computer and your other gadgets. But how secure are your passwords? With large-scale data breaches constantly in the news, password strength is essential to keeping your finances and privacy safe. Take this quiz to see how yours stacks up. Why? Using a real word or a name - even if it's not your own - is far easier for hackers to figure out than scrambled words and mixed character combinations, or "classes." Sophisticated criminals can use a brute force attack, an algorithm that tests many combinations at once, says Florent Secula, COO of identity protection services firm North America Generali Global Assistance. Plus, the vast majority of passwords end with a number between 0 and 99, Secula says, making this one a fairly easy target. Why? 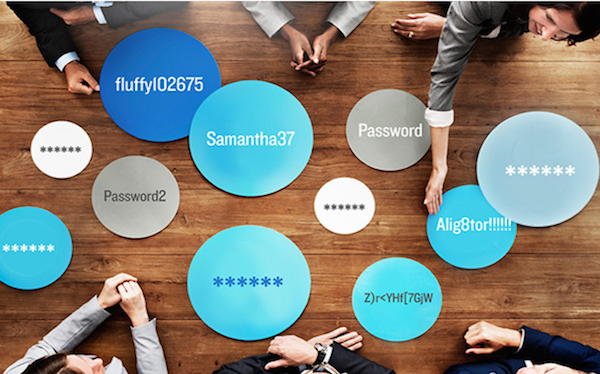 Believe it or not, "password" is still the second most commonly used password (the first is "123456"), says Paige L. Schaffer, President, Identity and Digital Protection Services. Other common passwords include "qwerty" (the first six letters across the top of the keyboard), and favorite sports ("football" and "baseball" made the top 10), according to SplashData's annual survey of most used. Why? Secure passwords contain at least 12 characters and multiple character classes - uppercase and lowercase letters, and numbers and symbols, explains Schaffer. This password does a decent job - at 100 trillion guesses per second, says Secula, it would be near impossible to discover in a brute force attack. While replacing letters with numbers or symbols seems like a good idea, though, some substitutions are so common (like replacing "i" with "1") that they don't make much difference to hackers. The more random the replacement, the better. Why? This is a combination of a pet's name and a birth date. Using any sort of personal information is unsafe, especially if recycled for multiple passwords, says Schaffer. Pet names, anniversaries and birthdays are easily obtainable by hackers. Also, this option doesn't include enough character classes. Always include multiple combinations (uppercase and lowercase letters, numbers and symbols) to double down on security, Schaffer says. Why? It's a cryptographically secure password, meaning one randomly generated using an online tool, explains Secula. It checks all the boxes of what a secure password entails: no detectable patterns or complete words, and it uses multiple case classes. But these types of passwords are daunting to remember. One strategy is to use favorite quotes - nursery rhymes or phrases - as a starting point, then swap in unique symbols for a few letters. For instance, "Mary had a little lamb, his fleece was white as snow" becomes M&ALL&FWWA7. Want more ways to hack-proof your accounts? Read on for more tips and to find out if a perfect password really exists.